Ludwig Boltzmann was a physicist who developed statistical mechanics, which connects Newtonian physics of particles to thermodynamics. Boltzmann’s kinetic theory not only explained how heat, work and energy are connected, it also gave a clear definition of entropy. While this revolutionized our understanding of everything from heat to the universe, it also led Boltzmann to a rather puzzling idea known as a Boltzmann brain. The pressure, temperature and volume of a gas is known as the state of the gas. Since these are determined by the positions and speeds of all the atoms or molecules in the gas, Boltzmann called these the microstate of the gas (the state of all the microscopic particles). For a given state of the gas, there are lots of ways the atoms could be moving and bouncing around. As long as the average motion of all the atoms is about the same, then the pressure, temperature and volume of the gas will be the same. This means there are lots of equivalent microstates for a given state of the gas. Basically what Boltzmann found was that the entropy of a system in a particular state depends on the number of equivalent microstates that state has. This explains why entropy within a system increases. Odds are, any physical system you have will tend toward a state with more microstates, since a state with few microstates (low entropy) is statistically much less likely to happen. But of course the catch is that statistically improbable is not the same as impossible. Boltzmann supposed that if the universe were a vast sea of particles, it would be possible for particles to come together to form the state of your conscious brain, just as it could come together into the universe we see around us. But which is more likely? It is kind of like the classic example of monkeys banging on typewriters (or astrophysicists on laptops). Let them bang around randomly for long enough, and there is a chance they will type out the complete works of the Library of Congress. Of course it is far more likely that they will bang out To Kill a Mockingbird. In the same way, if the universe is a collection of microstates, then it is more likely to find itself in a conscious state that thinks it is in a universe rather than the entire universe itself. That is, a Boltzmann brain is more probable than a universe. Just to be clear, should not be seen as convincing evidence that you are a brain in a vat, or that we are all living in a virtual world. The idea of a Boltzmann brain is much like the idea of Schrodinger’s cat. Both are examples of physical models taken to their extreme to find weaknesses in the model. 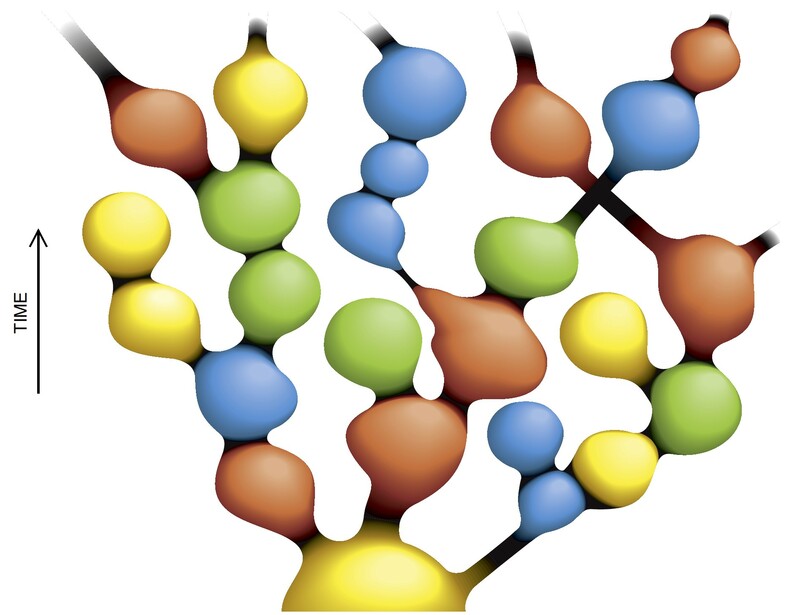 In the case of Boltzmann brains, one flaw is the assumption that universe is simply a collection of microstates. We now know that the universe began as a low entropy state of high density and temperature (aka the big bang). It then progressed via the laws of physics into atoms, stars, solar systems and a rocky little world where living things evolved over billions of years. 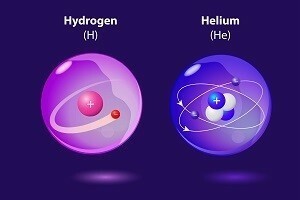 Your brain and the Library of Congress are not random states, but what hydrogen does over 13.8 billion years. At each stage in the history of the universe, the overall entropy has increased. Pockets of lower entropy such as living organisms are only possible due to higher entropy sources such as the Sun. In the same way refrigerator can make things cold (lowering their entropy), but it must use energy to do so, and it creates more waste heat than it removes from the fridge. Overall entropy still increases. This, by the way, means the next time someone uses thermodynamics to deny evolution, you should point out that by the same argument their refrigerator shouldn’t exist. A basic diagram of eternal inflation. Of course there are those that argue the ordered universe solution to Boltzmann’ brain is simply kicking the can down the road. While it is true that the early universe was a low entropy state, that doesn’t explain why it was a low entropy state. One solution to that is early cosmic inflation. The kind that BICEP2 hopes to have found. While inflation can solve the low entropy problem, it can also allow Boltzmann’s brain to reappear. That’s because there are versions of inflation where regions of the “multiverse” are inflating all the time. In this model our universe just happen to arise out of a local inflationary fluctuation. But if that’s the case, what is to prevent a Boltzmann brain from arising from a smaller fluctuation, and which is more likely? All of this is pretty speculative, so it’s important not to take the idea too literally. What makes the Boltzmann brain idea interesting is that it helps us examine the most bizarre and puzzling aspects of our physical theories. It’s enough to baffle anyone’s brain. 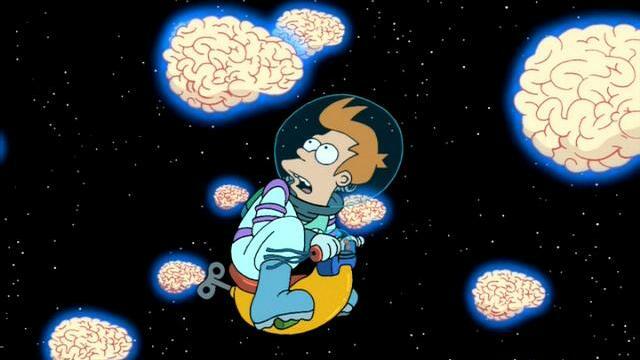 “Your brain and the Library of Congress are not random states, but what hydrogen does over 13.8 billion years”. that is the best one-liner I have heard in years. First, I think (past)eternal inflation would stretch those Boltzmann brains out immediately after they’ve been formed, and second, I am not sure that most minds here on earth aren’t in fact Blotzman brains – it would explain a lot!